Now demand is set to be increased due to a revised design, Euro 6 engines and enhanced specification. 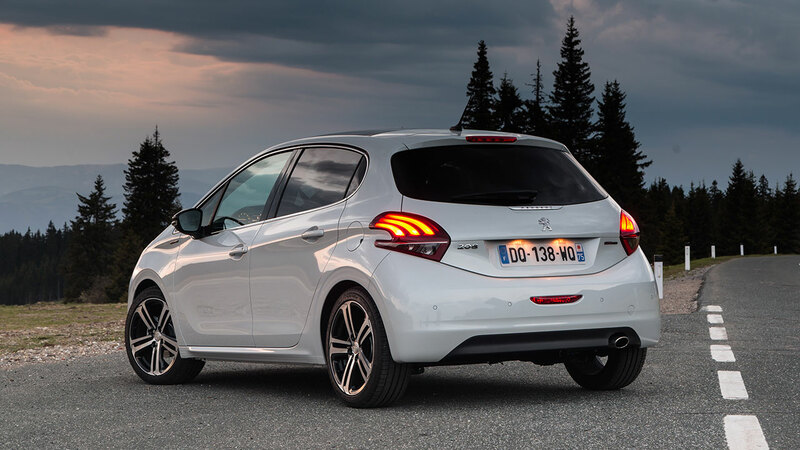 The Brand’s talented design team has given the new 208 a more assertive and distinctive look, while maintaining the family styling cues which have made cars such as the 308 and 2008 such a worldwide sales success. The 208’s new front bumper creates a sharper and more precise line, with a wider grille and deeper chrome surround now fully integrated. New two-tone headlamps feature black and chrome masks and are fitted as standard from Active trim level and house LED daytime running lights with cornering-assist fog lights standard from the Allure model. At the rear, the full LED light clusters have been redesigned to incorporate PEUGEOT’s signature 3D ‘claws’ motif. 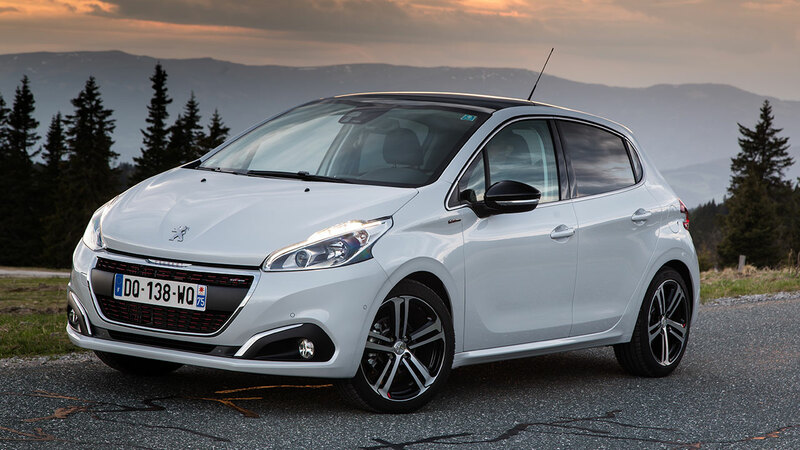 In profile, the sculpted sides and chrome window surrounds of the 208 are retained. Enhancements include exclusive new 16 and 17-inch wheel options, available in a choice of painted or diamante finishes, as well as with innovative laser engraving. 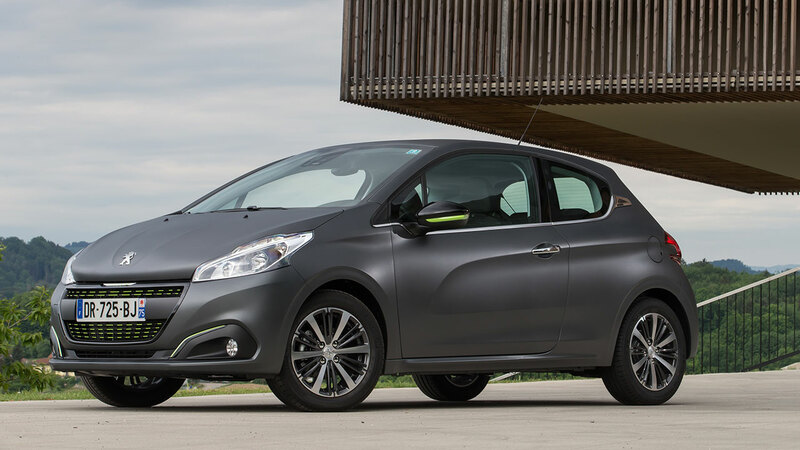 The 208 is available in 13 vibrant colours, including ‘textured paint’, a world-first technology on a volume production vehicle, which illustrates perfectly the sophistication and premium style that enhances the entire PEUGEOT range. Impressively it needs no special care by owners and costs just £645, the same as pearlescent finishes. Personalisation option packs – two interior and two exterior – are also now part of the 208 range, available in either Menthol White or Lime Yellow. 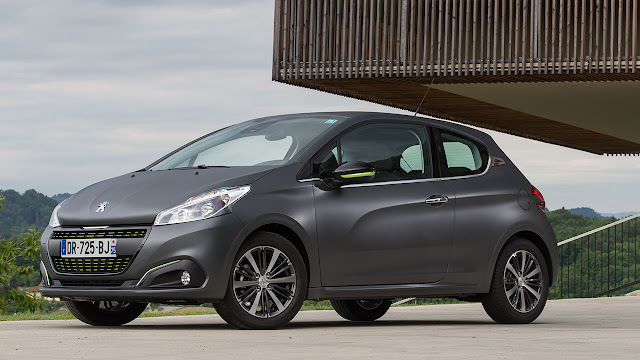 They are striking additions to the 208’s elegant style and are a factory-fit option from Active trim level. Exterior packs include a new grille with stamped 3D-effect, gloss black grille finisher, gloss black front fog lamp finishers with laser engraved coloured line and coloured PEUGEOT lettering front and rear. Interior packs feature sports seats with contrasting stitching, coloured door handles, grained dashboard moulding and satin chrome air vent finishers. 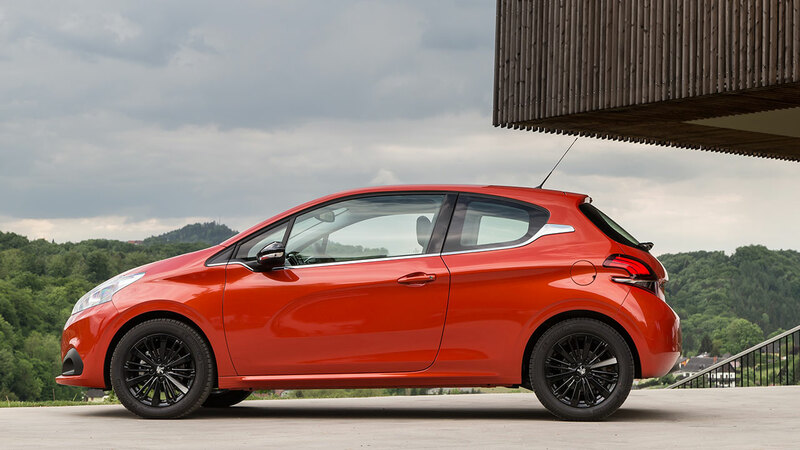 The 208 has always been a tour-de-force for state-of-the-art technology, but new innovations and customer demand has led to even higher specification. Park Assist and a reversing camera are available as a combined option from Allure level, while Active City Brake makes it possible to avoid an accident or reduce its seriousness, in urban conditions, at speeds of less than 20mph. Retail customers ordering Active and Allure models will benefit from additional, free of charge, specification including Active City Brake, representing a saving of up to £900. PEUGEOT’s new range of Euro 6 engines are now available in the 208 for the first time, with CO2 emissions as low as just 79g/km. Petrol engines remain a popular choice with retail customers and the revised line-up promises high mileage and low running costs. PEUGEOT’s PureTech range of three-cylinder units – either 1.0-litre 68hp or 1.2-litre 82hp – remain available in the 208. The flagship 1.2-litre PureTech turbocharged 110hp S&S (Stop & Start) version is now part of the family; coupled with a five-speed manual or EAT6 automated gearbox, this engine achieves CO2 emissions of just 103g/km or 104g/km respectively. For diesel fans, the 1.6-litre BlueHDi diesel engine comes with three output choices, including the 75 and 100 S&S. The first of these, mated with a five-speed manual gearbox, is capable of 94.2mpg and 79g/km – a record for the segment. The third choice is the 120 S&S which is mated to a six-speed manual gearbox, which produces just 94g/km of CO2. 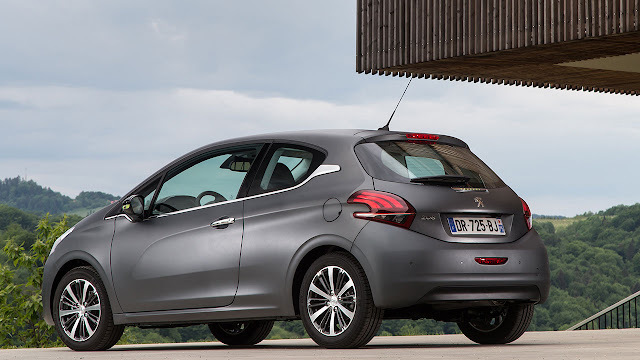 The new 208 is available in three and five-door body styles, and comes in four generously equipped trim levels – Access A/C, Active, Allure and GT Line. The latter is a new addition to the range and, following the lead of the larger 308, adopts many of the styling attributes of the iconic GTi model. 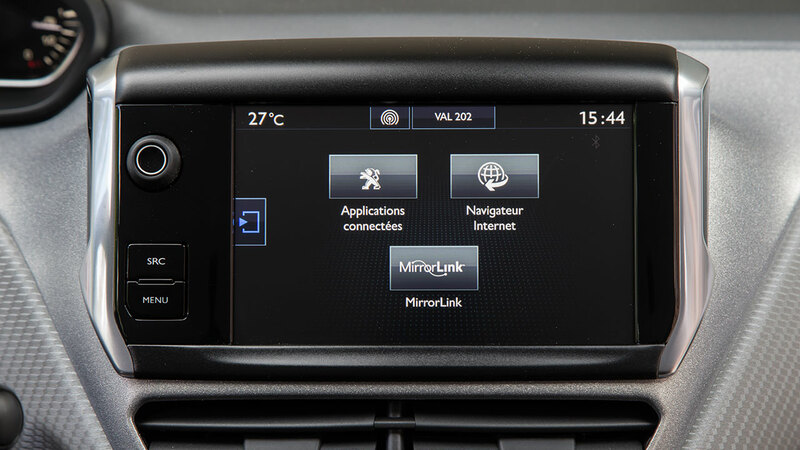 All versions of the 208 now come with manual air conditioning and Bluetooth connectivity as standard. For a more performance-oriented body style, 208 GTi, 208 GTi Prestige and 208 ‘GTi by PEUGEOT Sport’ are available as three-door variants. 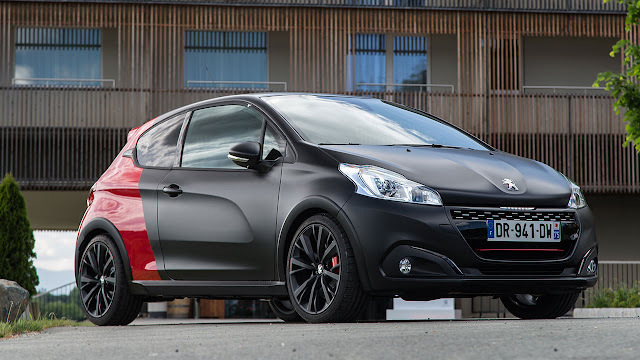 Here, the latter builds on the popularity of the 208 GTi 30th, the most exclusive and radical GTi the company has ever created. With unique badging, it features a lowered ride height, wider tracks, 18-inch wheels, matt black exterior features, sports seats, red floor mats and two-tone paintwork.